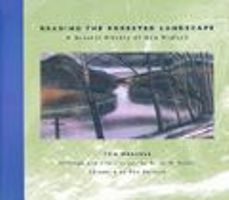 Reading the Forested Landscape: A Natural History of New England, by Tom Wessels, 1997. An elegant ecological history of the New England landscape, accompanied by beautiful etchings and illustrations. Each chapter focuses on a common form of forest disturbance such as logging, fire, windthrow and blight. (Perhaps a future edition will address the effects of the 1998 ice storm.) Several appendices offer much additional information. Hardcover, 200 pp, 9 ¼” x 8 ¼”.